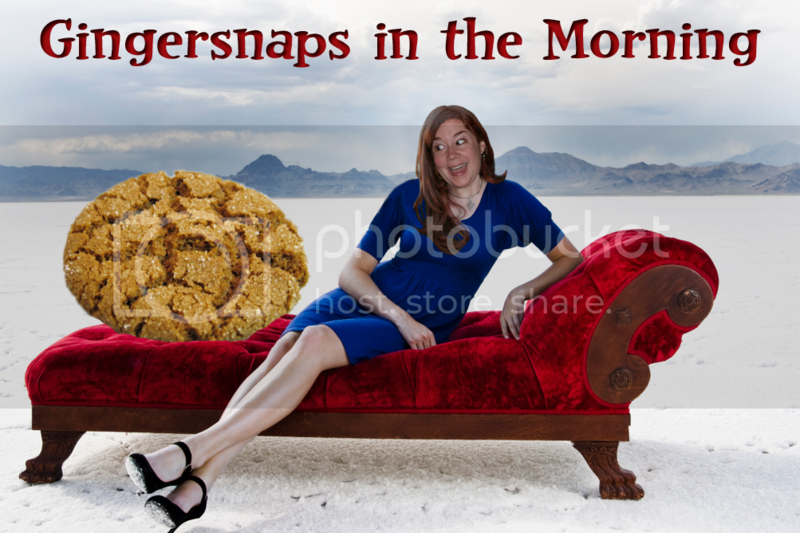 WhythehelldidIspendallmybloggingtimewatchingWhoseLineIsItAnywayBloopers onYouTube Wednesday to to you all my little gingersnaps! In Louisiana, a commissioner is proposing a ban on wearing pajamas in public. All I can say is thank God he isn't the Los Angeles commissioner so I can still go to Target in my jammies. 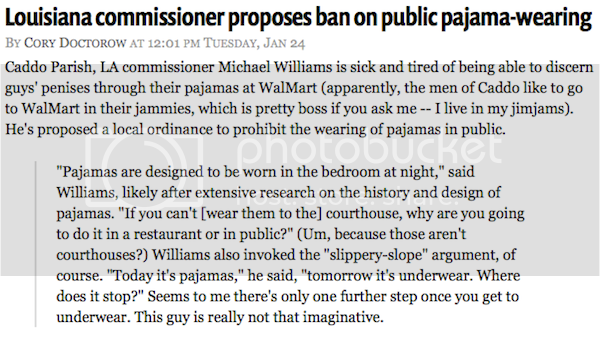 This commissioner believes going out in your jammies is a slippery slope to going out in your undies. Next thing you know people will be playing strip poker at your local drugstore. 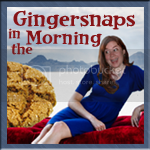 Little known fact: I once wanted to be a Veterinarian. That was, until I found out how many years you had to go to school for that. And yes I did pick my profession based on what professions only required four years of college. Seeing this reminds me that the amount of schooling is not the only reason I'm glad I never followed that dream. And now, for today's FAIL... Not necessarily who you'd choose to babysit your kids. And now, for today's WIN!!! I don't know about you, but I'd never consider anything related to Chuck Norris a FAIL. Chuck Norris can roundhouse kick any FAIL into a WIN. Like these jeans. Dr. Seuss wrote Green Eggs and Ham as a result of a bet! Random House is a publishing company who distributed one of Seuss’ biggest success, The Cat in the Hat, which had only 225 different words! Co-founder of Random House, Bennett Cerf, was amazed by Seuss’ ambition and proposed a challenge for a different book. Cerf bet Seuss that he couldn’t write a book using 50 or fewer different words. 3 years later, Dr. Seuss released Green Eggs and Ham, which is one of his most popular books. Upholding the bet he made with Cerf, Dr. Seuss used only 50 words for Green Eggs and Ham. Do you think you know all 50 words used by Seuss? Take this quiz!